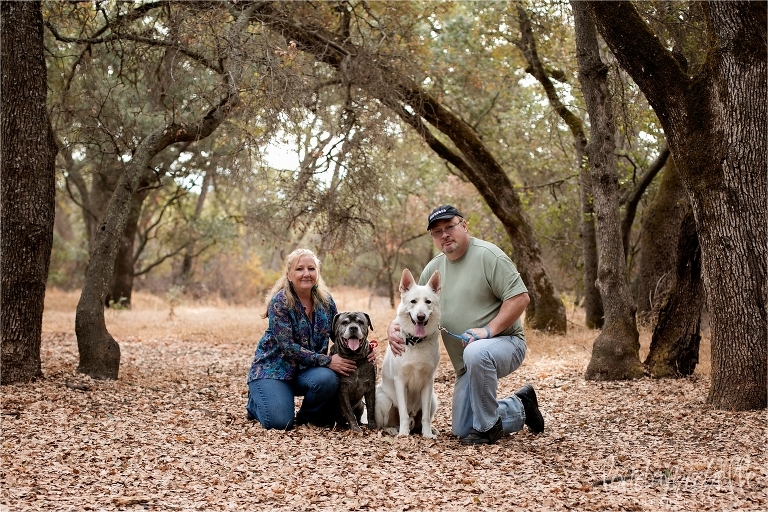 My Uncle Brian and Aunt Julie just celebrated their 25th wedding anniversary, and I was so excited when they asked me to do an anniversary session for them and their two fur babies! 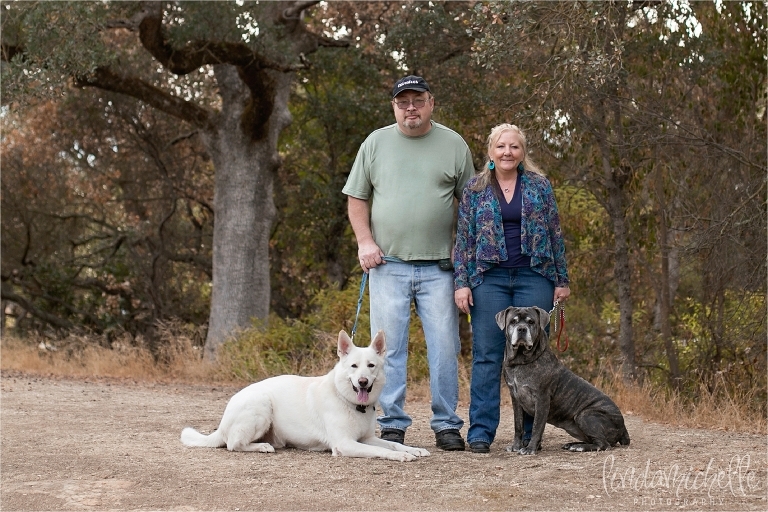 Their dogs–an Italian Mastiff and a 100-pound White German Shepard–were so well-behaved during their session and even posed for me. 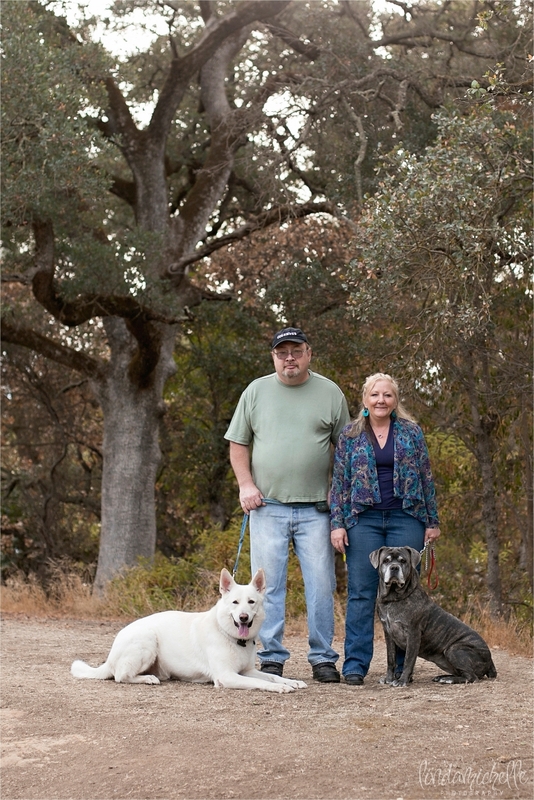 My uncle and aunt had just one request for their location: they wanted something with lots of oak trees. I decided to take them to a park in Orangevale because I knew the park was full of these amazing trees! The location we chose definitely did not disappoint, and my uncle and aunt absolutely loved the large oak trees we found. They even requested a special photo of just the two of them next to one of the bigger trees so they could always remember how massive they were! Anyone who has been married this long knows that marriage is not 50/50; it’s 100/100, and these two definitely have what it takes to make it last! I’m so excited to see what the next 25 years bring for them. 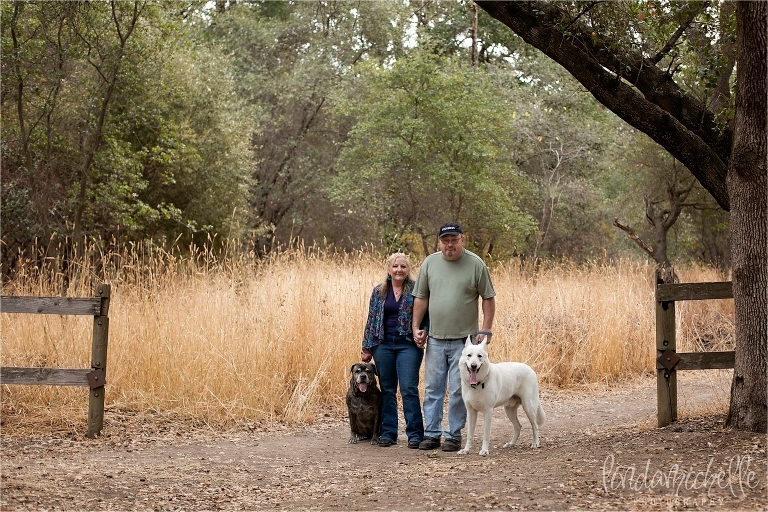 Are you interested in scheduling your own anniversary session or a session with your pets? Contact me!